LAWMAKERS yesterday expressed support for a proposal to increase local government units’ (LGUs) share of national tax revenues. LGUs’ current share in the tax revenues, in the form of the Internal Revenue Allotment (IRA), is 40%. House Bill (HB) No. 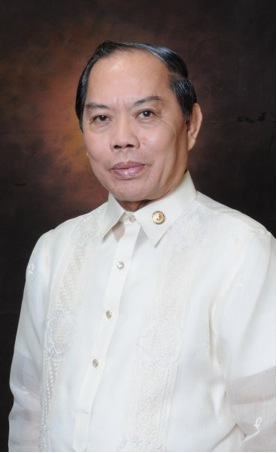 2619, filed on Aug. 28, 2013 by Surigao del Norte (first district) Rep. Francisco T. Matugas, aims to increase the share to 50% by January 2015 and 60% from January 2016 onward. “I am strongly supportive of this measure. Having served as chief executive of an LGU myself, I have seen that the key to national progress and development lies with the LGUs,” House Committee on Local Government member and Cebu (third district) Rep. Gwendolyn F. Garcia toldBusinessWorld in a text message yesterday. “It is only by empowering them through fiscal, political and economic reforms can we envision a wholistic and comprehensive roadmap towards a palpable and filter-down growth,” Ms. Garcia, also former Cebu governor, added. Committee on Appropriations Vice-Chairman and Eastern Samar Rep. Ben P. Evardone, in a separate text message, also expressed support for the proposal. “I’m in favor of this proposal. It will hasten the development of the countryside,” Mr. Evardone said. For his part, Bukidnon (second district) Rep. Florencio T. Flores, Jr., also a member of the Committee on Local Government said he agrees with the proposal as it could promote better allocation of national resources. “I strongly support this bill because by increasing the share of LGUs, it will mean a better and more equitable distribution of financial resources,” he told BusinessWorld in a text message. “Since the LGUs are the frontliners of government service to the people, this will mean an improved service reaching more people in need of these services,” he said. Bill proponent Mr. Matugas said in the explanatory note that this is the reason “local governments have been clamoring for some devolved functions and responsibilities such as health services to be transferred back to the national government”. Section 284 of the Local Government Code of 1991 (Republic Act 7160) gave LGUs these shares in national internal revenue taxes: 30% in the first year of the law’s effectivity, 35% in the second year and 40% in the third year and afterward. “The Constitution, explicitly states that the LGUs shall have a just share in the national taxes; this means that the LGUs have a right to taxes collected by the Bureau of Internal Revenue (BIR) and that LGUs receive not just a share in the national taxes but that the percentage of its share must be considered ‘just’,” Mr. Matugas added. The bill was referred to the House Committee on Local Government for consideration on Sept. 3, 2013. Meanwhile, Caloocan City (second district) Rep. Edgar R. Erice, also a member of the House Committee on Local Government, said in a text message that the proposal is not a wise move. “I don’t think that it is wise; monitoring on how these funds will be spent will be very difficult. It may end up to nothing and will further promote corruption,” Mr. Erice said. He added that the said proposal won’t be equitable because “LGUs of highly urbanized areas will get the chunk of the share”. “The poor LGUs will remain poor while the rich shall become richer. The national government in this case will be helpless even if fund utilization will be wasteful because of local autonomy,” he said. For his part, House Speaker Feliciano “Sonny” R. Belmonte, Jr., in a separate text message yesterday, said he will study the matter carefully.